A New Zealand IP firm is leading the charge when it comes to patent law in Australia. James & Wells is ahead of Australian counterparts when it comes to filing in the Patent Office, partner Gus Hazel said. 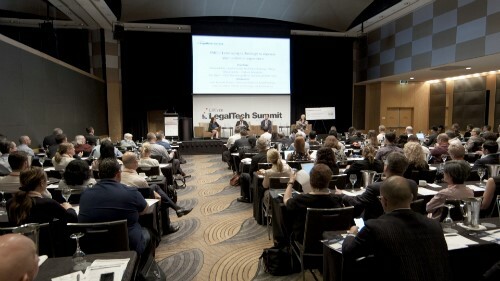 “We are competing against, and beating, Australian firms in their own backyard,” he told Australasian Lawyer. Partners in the firm have just been named on the IP industry’s most illustrious list, the Intellectual Asset Management’s IAM Patent 1000. Hazel was recommended for patent litigation and transactions, while his fellow partners, Ian Finch and Kate Wilson received a gold ranking for patent litigation and transactions and a recommendation for patent prosecution, respectively. Hazel, who hails from Australia, moved over to New Zealand a decade ago and has since practiced in both Auckland and Wellington. He’s one of several Australian lawyers at the firm, which he believed did offer a competitive edge when working over the ditch. “There are [also] some cost advantages for international firms working through New Zealand. They are not pronounced as they sometimes are, given the Australian and New Zealand dollar are pretty close,” he said. So what are the major challenges when it comes to working trans-Tasman? “There are some challenges, but they are not insurmountable. The Australian firms are starting to come here [as well], so I guess that is becoming more of a trend – Australian firms doing cases here, us doing cases there,” he said. The laws in the two countries are similar, but not identical, so lawyers do have to upskill, he said. Hazel said he is now happy practicing both jurisdictions. “I tell them, ‘Yes they are’,” he laughed. I would like Mr Hazel to back up his claim with hard data.